Woohoo, originally uploaded by truublooo*. Raise up, soar above it all. 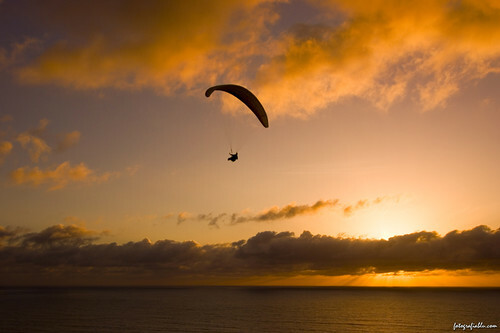 Paraglider enjoys the sunset over Black's Beach in La Jolla.